Madrid (AP) — Two-time Tour de France winner Alberto Contador will retire next month after riding in the Spanish Vuelta. “It’s a decision that I have thought (about) very well and I don’t think there is a better farewell than in the home race and in my country,” he said. The three-week Vuelta starts Aug. 19. 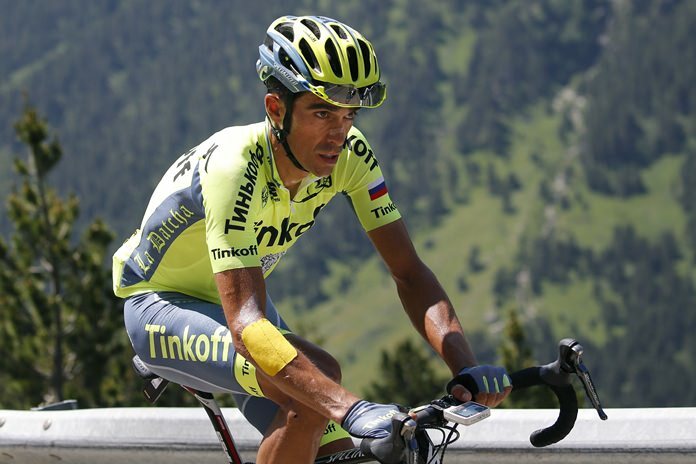 Second only to five-time Tour winner Miguel Indurain in Spanish cycling lore, the 34-year-old Contador has been one of the sport’s top riders for the last decade in a contentious career. He accumulated seven grand tour titles, winning the Spanish Vuelta three times and the Giro d’Italia twice. Only five other riders have ever won the three grand tours. Contador won the Tour de France in 2007 and 2009. But in 2012 he was stripped of a third Tour title from 2010 and banned for two years for doping. The Court of Arbitration for Sport rejected Contador’s claim that his positive test for clenbuterol was caused by eating contaminated meat on a 2010 Tour rest day. Contador is riding for Trek-Segafredo this season.